Deep Fryers have a whole new set of rules and require two main skills: patience and carefulness. All good deep fryers look alike; but they’re all wicked in their own way. Find out what the features you are facing are and what the precautions you should take care. This includes knowing well what the parts of your deep fryer are and what additional tools you might need. Good preparations are everything; and that can save you time and potential oil burns. Below are some general steps on how to use a deep fryer. How To Use Deep Fryers? The essential part for deep frying is, of course, oil. Choose the right oil. Usually, olive oil is not the best choice for deep frying. After you make your oil pick, your next challenge will be dosing. Pour oil in the fryer while it’s still cool in order to avoid any unnecessary risks. Most deep fryers have a minimum and maximum fill line which is your best friend in this case. Don’t overfill the fryer but you should have enough to cover the food completely. If you don’t, you’ll probably have to flip the food during preparations and that can be a real hassle. After you get the oil levels just right, it’s time to heat up your deep fryer. Different models turn on differently; you can probably find our which type is your machine by reading the manual. After you have that covered, don’t turn the deep fryer where there is a water source. Safety first. The temperature depends on the type of food you’re preparing. The temperature will usually be between 350 and 375 degrees Fahrenheit. But how exactly do we know what’s the right temperature? Most deep fryer models today have a built-in thermostat that will make sure the temperature is right. In case your deep fryer does not have an automatic thermostat, you can easily buy one. The right temperature is paramount, so keep your eye on the thermostat. Deep frying food means lots of oil, so be sure there’s no water in your food. Whatever you are deep-frying needs to be dry. Pat the food with a paper towel before placing it in the deep fryer. That will help you avoid dangerous oil splatter and potential burns. This especially goes for meat and frozen goods. Deep frying food includes hot hot hot oil. After you heated up your deep fryer and dried out your food, it’s time to put the food in the fryer. Now, most recent models have a food basket which lowers easily and safely. Now, if you don’t have the basket, it will be a bit more challenging. You will have to drop the food in the oil easily. We recommend using a fork or a larger spoon. It’s very important not to place too much food in the deep fryer at the same time. Having too much food means lower oil temperature and crowded fryer, which is never good. Perfecting deep fried food means lots of patience. Do not leave the food too long in the oil. Also, a too high temperature will lead to an overcooked meal, which is also bad. Phone alarms are great, but also annoying. So go to your music player. It will give you a chance to bust a move around your kitchen. However, always keep an eye on your deep fryer at all times. Your food should be well done before you take it out of the deep fryer. Go for gold color and you won’t make a mistake. Before you dig in, let the excess oil dry off. Best Deep fryer that have the basket will make it easier to get rid of the oil. In case your fryer doesn’t have the food basket, place food on paper towels before you eat. 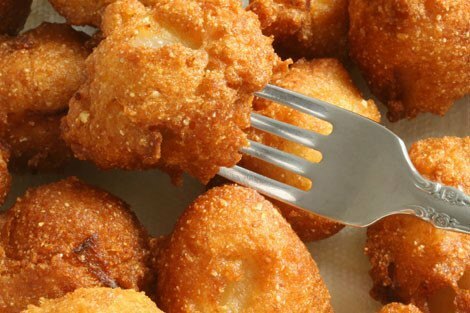 Deep fryer makes cooking easier, especially if you are preparing party food. French fries, fried chicken; you name it - the deep fryer will make your favorite food easily accessible. Deep fryer is tricky, so make sure you know which parts if any are dishwasher friendly. That will make your washing troubles easier and it will save you time. At any rate, the deep fryer should be cold before you start the clean up. You can get the essential safety tips from the manual, so read up before you start anything. Make sure your food is dry; the oil is of the right amount and in the right temperature. Keep an eye on the deep fryer at all times, and get back up through a thermostat and a timer. Deep Fryers are a good pick because it will allow you to get all the favorite foods right at home. It also means your parties will definitely be well liked - fried chicken and French fries beat canapés any day. The foods will be great and the process is pretty straight forward. Have you already used a deep fryer? Do you know how to use a deep fryer? Please don’t hesitate to share your experience with us.